As the title says, this gem of a film is about cars that eat Paris. Not Paris, France however, but a small town called Paris in Australia. What more do you need? Cars are eating a city. And not in a corny Transformers kind of way either. These cars' got style. There's a WV Beatle with spikes all over it, for Christ' sake! 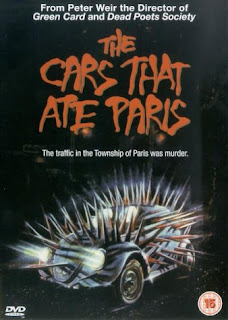 If promises of cars eating Paris is not enough for you to watch this film, then you are dead to me.